I bought a used Subaru from them. I liked the car, they sold it to me at an affordable price, and the closing process was quick and painless. Very professional and efficient staff who handled my purchase very efficiently and quickly. I received a check-in phone call the next day, as promised. Greeted outside as I pulled up to service garage door. Inside service desk personnel very friendly and helpful Estimate of service time given pretty accurate. Waiting room with TV coffee vending machine Comp Car Wash IS excellent touch! I really enjoy working with sandy your service advisor she is very knowledgeable,honest,always answers my questions and concerns,and look forward to coming back to her for future services.she truly is an asset to your company. Mark Weinstein is a wonderful and caring salesperson. He answered all my questions and concerns. Anytime I have visited the Acura dealership it has been a good experience. I have been dealing with this dealership for 9 years now. 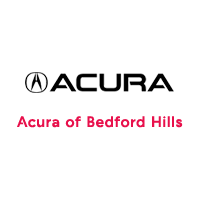 I am on my 4th Acura and I specifically drive an hour to them because of how great they are. Robert Bello and Donald Anson are amazing at what they do and I couldn’t be happier.